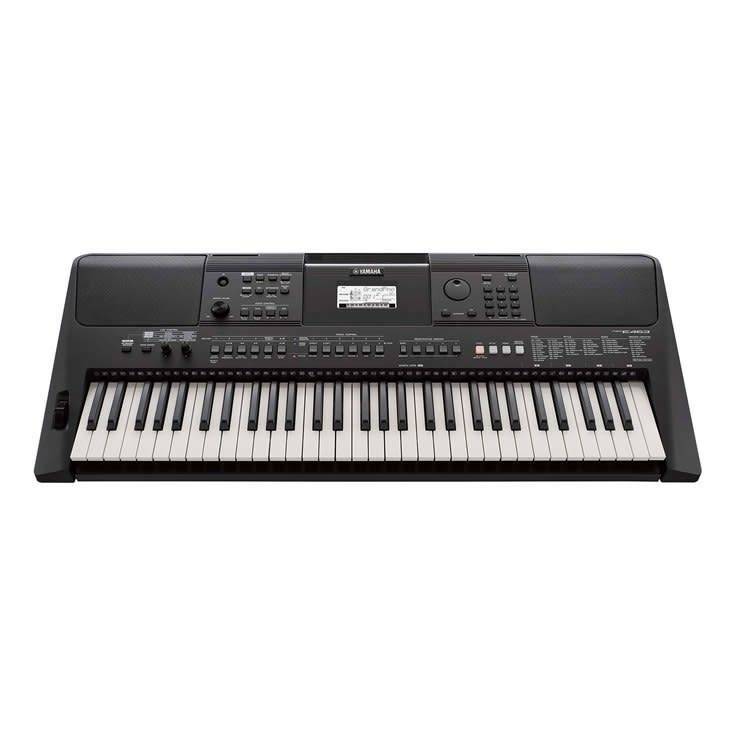 The Yamaha PSR-E463 Portable Keyboard is the best entry-level keyboard for performing various styles of music, from the latest to vinyl favorites. With the new Yamaha PSR-E463 Portable Keyboard, all you need to turn your ideas into music is inspiration. Capture sounds using the AUX Input and play them back from the keyboard. Easy-to-operate Quick Sampling via AUX-In terminal so that you can play your favorite external sounds! 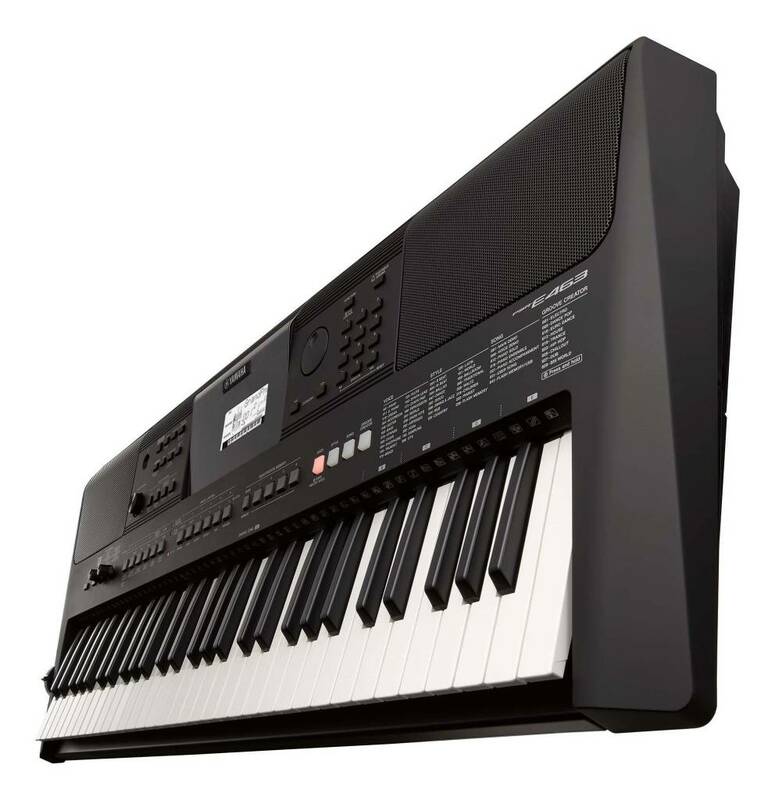 You can quickly capture audio from an external audio source and assign the sampled sound to the entry-level keyboard. You can perform the latest music styles from the keyboard like a DJ - lay down a beat, tweak the groove, adjust the mix and get the dance party started. Easily create your own "groove" by turning each track on/off, altering sections, or adding various effects using the live control knobs. Yamaha has a proud history of manufacturing just about every kind of musical instrument. When it comes to reproducing the sound of these instruments in a keyboard, the results are detailed and high-quality. 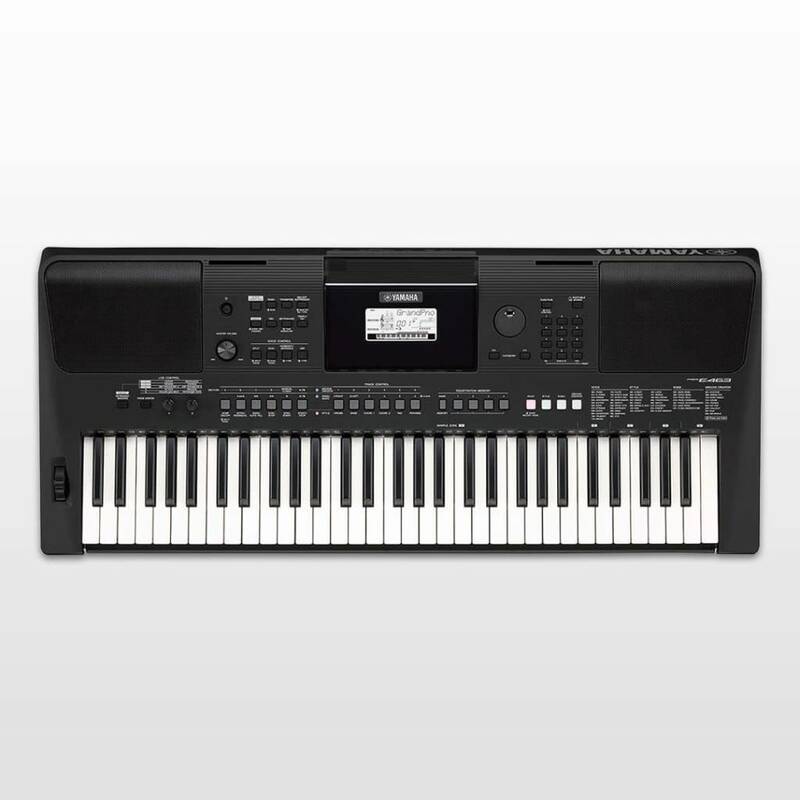 The Yamaha PSR-E463 Portable Keyboard features a comprehensive library of 758 instrument Voices that will allow you to enjoy playing any musical genre. This entry-level keyboard features audio transfer through the USB TO HOST terminal. You can record your performances to your computer or smart device. Connecting to your iOS device adds a new dimension of MIDI control with apps. Connect an external audio player to the AUX IN jack and you can play along with your favorite tunes. The built-in, advanced Melody Suppressor lowers the volume of vocals and melody lines of the original recordings, leaving that part open for you to play or sing.